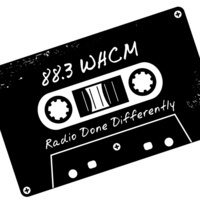 Whether you helped make WHCM the best home for student radio while at Harper or you are a faithful listener, now is your chance to support today's WHCM students during the first-ever WHCM membership drive. Become a member during the membership drive, running from February 18 through March 1. Full membership is $88.30. Members will receive a complimentary WHCM tote bag. Or, support at any level. Your funds will support the WHCM students at Harper College. Help WHCM thrive by becoming a member today!